** Williamsburgs Premier Condo The EDGE * Large 1BD/1BA with Chef's Kitchen with Stainless Steel Appliances, M/W, D/W, and Breakfast Bar, Incredible Closet Space, Washer/Dryer, and Sprawling Hardwood Floors in a Pet-Friendly Full-Service Luxury Doorman Building **Incredible West Facing One Bedroom with Balcony, Floor-to-Ceiling Windows, Gourmet Kitchen, and Spacious Layout in a Full-Service Pet Friendly Luxury Building. 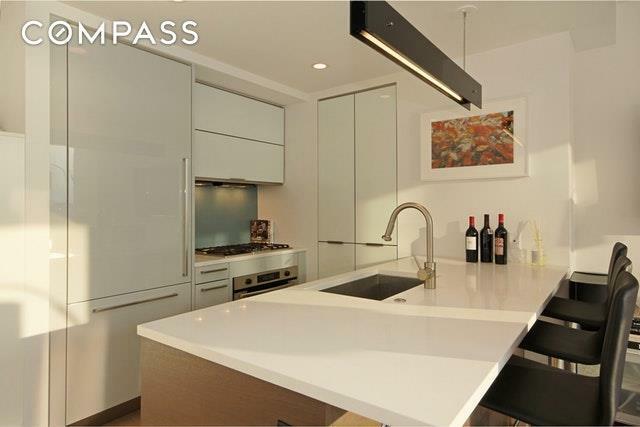 This apartment fully captures a modern luxury lifestyle with features such as a gourmet chefs kitchen fitted with top-of-the-line stainless steel appliances, microwave, dishwasher, breakfast bar, and storage pantry. The kitchen overlooks the living room, which has floor-to-ceiling windows that drench the room in natural light and offer full river and city views. 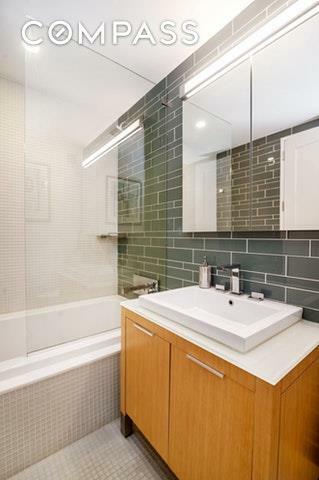 The bathroom boasts contemporary fixtures, lots of storage and a full soak tub. 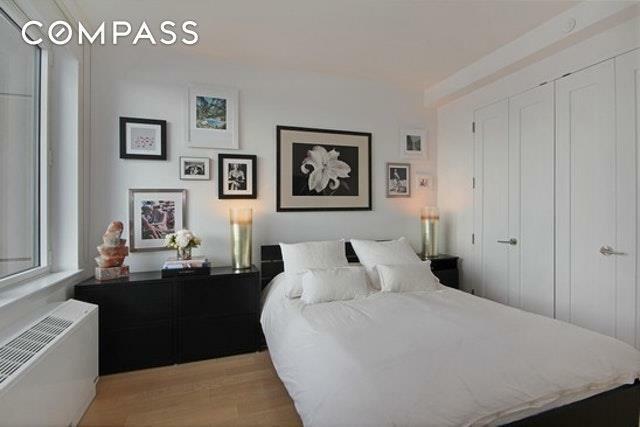 The unit also boasts plenty of storage and closet space, plus an in-unit Bosch washer/dryer.The EDGE is the preeminent luxury condominium complex in Brooklyns best neighborhood. 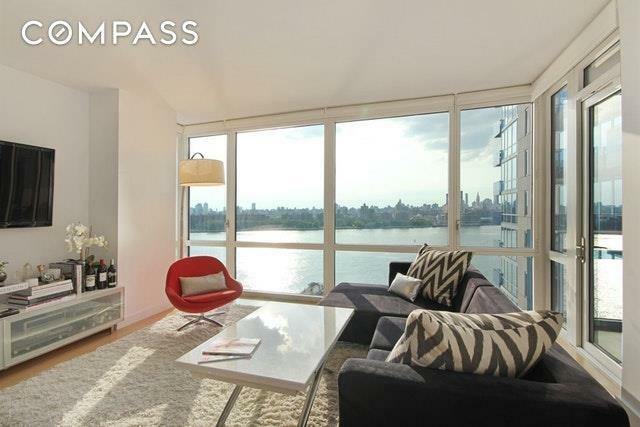 Take in breathtaking Manhattan views from one of the two roof decks, or stroll over to the many outstanding restaurants, boutiques, cafes, bars, culture and nightlife spots nearby, including Brooklyn Bowl, The Music Hall of Williamsburg, and Brooklyn Winery. East River State Park, home to the Smorgasburg food market, is essentially your backyard, while McCarren Park is also moments away. This elevator buildings outstanding amenities include a 24-hour doorman and concierge service, fitness center, all-season pool, sauna, Turkish baths, 30 seat movie theatre, two roof decks, bike storage, virtual golf and other electronic games, live-in super, parking garage and more. The Bedford Avenue L train stop is less than a ten-minute stroll away, ushering you into Manhattan in just one stop, while the ferry to Manhattan also stops right outside. The Edge benefits from the 421-a Tax Abatement through 2036. Listing courtesy of Geoffrey Pantone of Compass.